Hearing the truth helped me finally get my act together. I used to be broke all the time. And, you guessed it — it wasn’t fun. Not even close. No matter how many times I told myself next month would be different, and that I would finally get my finances in order, it never seemed to work out that way. At the end of every month, I’d ask myself the same question – why am I always broke? I was working hard, making decent money, and only spending on what I considered to be normal expenses. But every single month I was running out of cash before flipping the calendar. Then, one day it hit me. That was a rough realization. If this sounds like you, it's time for a change. It turns out, my “normal” expenses, like going out to dinner every week, new outfits every month, and catching a few concerts, were blowing my budget and making me poor. It got to a point where I was afraid of facing my debt and just tried to ignore it. Because I wasn’t making my finances a priority, my money wasn’t working for me. 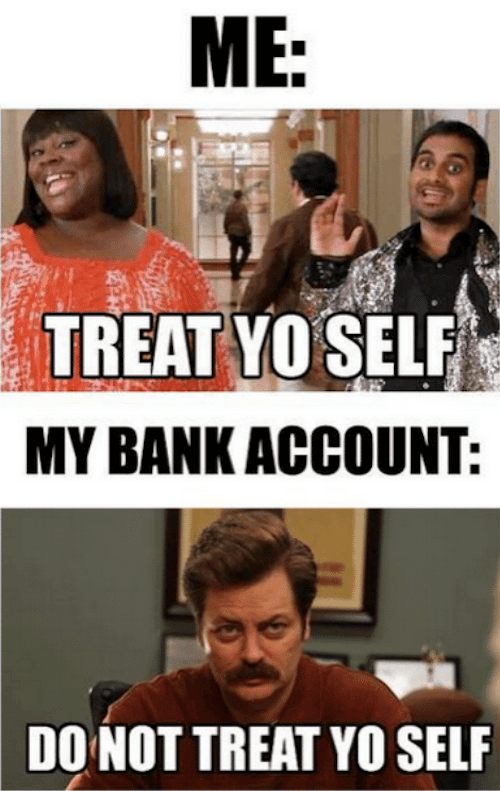 So, after living paycheck to paycheck for longer than I’d like to admit, I finally got serious about changing my money habits and getting out of debt. And this is the interesting part — to my surprise, getting my finances under control was much easier than I originally thought. So if you happen to be in the same sinking boat, here’s an honest take on why you might be broke and how to address it before it makes you poor. Told you I was going to be candid and honest. Overcoming procrastination is key in making progress with your money situation. Just like writing a paper for school or completing a project for work, it’s easy to fall into the “I’ll do it later” trap. Now is the time to break out of that mindset because procrastinating (a.k.a. being lazy) is expensive and costs money. In today’s gig economy, you probably know a handful of people who have explored earning extra income on the side with a side hustle. Maybe they have an Etsy shop or are getting paid to share an opinion with market research companies, etc. My point is if you’re serious about building wealth and getting ahead, and your take-home pay just isn’t cutting it right now, it’s time to take on a side hustle. Not only can it bring in extra money every month, but it can also open your eyes to the possibility of an entirely new career! Side hustles come in all shapes and sizes, but here are a few of my favorite ones. Each one only takes minutes to get started. Opinion Outpost – Earn money from the comfort of your couch with this high paying survey site. There’s a $5 payout minimum but it’s easy to get there quickly. Ipsos i-Say – Let your voice be heard! Earn points that can be redeemed for cash, gift cards, and more by completing easy surveys. YouGov – Get paid to share your views and opinions on life! Most surveys take 5-7 minutes to complete and points can be redeemed for cash via Paypal, Target gift cards, movie vouchers, and more. More often than not, it’s easy to apply the “set it and forget it” mentality when it comes to paying things like car insurance, cable/phone/internet bills, etc. Once they’re set up, we have a habit of accepting the cost, even when it goes up for no reason. This used to be one of the reasons I was broke at the end of the month. Luckily, a friend of mine told me about Trim, which is a free Facebook AI bot that automatically finds and cancels unused subscriptions. I know it sounds a little out there, but it’s so easy to use and has been really helpful for me and my family. Trim can also find the subscriptions I have and help me cancel them if I want. Sure, $8-15 subscriptions here or there probably won’t empty your bank account but it certainly builds up over time. For me, since I wasn’t paying my credit cards in full or keeping track of my bank transactions, I never even noticed those monthly charges adding up each month. If you’re someone that goes shopping as a social call or as a way to waste time on a Saturday afternoon...stop! Stop right now. No judgment here, of course, I used to be one of those people. Every Friday night I would dash to the mall after work to buy a new outfit for the weekend. While I loved the feeling of having something new to wear, it was taking a serious toll on my bank account. I was broke as a joke, even when I looked great and dressed well. Thankfully, this realization helped me realize how much money I was wasting and I made a promise to myself to become more purposeful with my purchases. Now I shop around for items and make sure I actually need them before shelling out my hard-earned cash. Asking for a pay raise can be uncomfortable, but if you’ve been spinning your wheels in place at the same job for a few years, it’s highly likely you’re being underpaid. So if you’re in a position that should be paying you more money, don’t be afraid to ask your boss for a raise. Just make sure you actually deserve one and have a work history that backs up your claim. Before you dismiss coupons, hear me out. I used to think they weren't worth it either. Using coupons is a smart way of getting what you want at a fraction of the cost. That's just the truth. But clipping coupons from a newspaper is how your grandma used to do it. Don’t be your grandma. Smart shoppers use Ibotta. It’s an app with incredible digital coupons – no clipping or printing necessary (which means you’ll never forget to take them with you either). There really isn’t a better way to be coupon-savvy these days. If there’s one thing I hope you take away from this today, it’s this – getting cash back on the stuff you plan on buying anyway couldn’t be easier! Plus, we all need to buy things, even when we’re broke, so you might as well save some money when you can. My go-to for getting cash back on purchases is Ebates. They make it easy to save money on almost anything I want to buy online – even if it’s not on sale. To take advantage of the savings, just sign up and make sure you open Ebates before checking out. Easy peasy. Some of the best reward sites out there offer excellent ways to get some easy wins in every day. If you’re not using them yet, you should be. Reward sites let you make money for doing pretty much anything. These won’t necessarily help you get rich, but when you’re broke, every dollar earned has a big impact on your financial success. 9. Passive Income? What’s that? That man is Warren Buffet. What he’s referring to is passive income. Passive income is money you make without having to actively work for it. One popular way I like to make passive income is with Nielsen Panel. Nielsen Panel will pay you up to $50 a year to keep their app installed on your electronic devices. So, say you installed the app on your phone, tablet, and computer – that’s a cool $150 a year earned passively! But why would they pay you to install their app you ask? Simple. They want to rank websites by learning how people navigate them. Listen, I know a rainy day fund is probably the last thing on your mind right now. If you’re anything like me, setting aside extra money on a regular basis for “someday” just wasn’t on my to-do list. I knew I wasn’t alone, in fact, a recent Bankrate survey found that 59% of Americans don’t have $500 in savings, which begs the question — what do all these people do when a $500 emergency happens? I used to think putting the expense on a credit card would be fine while I paid it off but realized how bad of an idea that was pretty quick. Instead, I chose to commit to a few side hustles and started putting all of the extra funds into my rainy day account. That way, it wasn’t taking away from my main income and was, therefore, easier to automatically set aside. You can take action with just one thing. One small change. Waiting to make a move until tomorrow is one day too late. To get ahead, make a plan and get going as soon as you can. You owe it to yourself to give it your best shot. Cutting unnecessary subscriptions and starting a side hustle are good places to start (closely followed by no more mindless shopping). Forming these new habits is kind of like building muscle — uncomfortable at first, but more than worth it in the end. In fact, it can absolutely transform your money woes and help you get ahead in life as you deserve.